What is the point of Cumbria Trust when the search for a repository ended in January 2013? Cumbria County Council did vote to end the process in January 2013 and according to the agreed rules, that ended the search. However, not to be discouraged by democracy, the government is redesigning the process to exclude those that voted against continuing. County Councils are now to be excluded, as are parish councils. The Executive members of Copeland and Allerdale will be in a position to press on regardless. 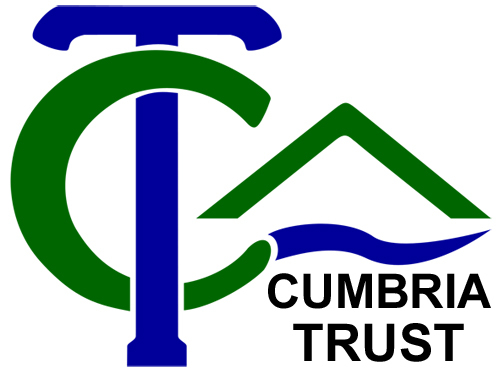 Cumbria Trust is determined to stand up for the rights of Cumbrians and ensure they can’t be ignored by the government. Surely if you bury nuclear waste deep enough, it should be safe, after all gravity pulls it downwards and not up? Gravity would work to keep nuclear waste, or anything sufficiently heavy buried, and away from the surface, but at the proposed depth of the repository (200-1000 metres), pressure is much stronger than gravity and able to overcome it. Because of this, fluids and gases often want to migrate upwards towards the surface, just as oil often gushes out of a deep well without being pumped. So does the geology matter? Yes, very much so. Firstly we need an effective geological seal, that is a rock that can act as a barrier to prevent fluids and gases reaching the surface. Some geological seals can be effective for many millions of years. That is how oil reservoirs form – oil migrates upwards until it is stopped by an impermeable layer. Secondly we need to avoid fast underground water flow as that will break down the repository and transport contamination. Thirdly we need simple geology so that we can predict what will happen. We need the contents of the repository to be isolated from the surface for around a million years. What was Nirex and what did it conclude? In the 1980s Nirex carried out a national survey looking for a site to bury nuclear waste. In the late 1980s and into the 1990s, Nirex focused on West Cumbria, covering an area of 65x60km. They then went on to study an area near Gosforth known as Longlands Farm. £400m was spent investigating the area, including conducting a 3 dimensional seismic survey. They employed Professor David Smythe to lead this. They also drilled 29 deep boreholes and reached the conclusion that they couldn’t even model and predict groundwater flow between two of these boreholes, just 200 metres apart. The geology was far too complex so the project failed on safety and site performance grounds. Nirex became part of the NDA in 2007. Professor David Smythe worked with Stuart Haszeldine, now also a professor. Both of them concluded that the geology of West Cumbria was unsuitable and unsafe for burial of nuclear waste. They feel so strongly about this that they have spoken out publicly in West Cumbria as a matter of principle, and they are now assisting Cumbria Trust to ensure that the search moves to a safer area of the country with simple geology. Who was Chris McDonald and what what his opinion? Chris McDonald was the Lead Inspector of the Nirex inquiry. He wrote this letter in 2007. He concluded that the selection of the Longlands site was irrational and driven by a desire to be close to Sellafield, rather than giving adequate consideration to safety. He advised that the search should move away from Cumbria. He recently clarified his view on the BBC Inside Out programme that the search should move to an area to the east or south of England where the geology is simple and predictable. What makes you think they are considering Ennerdale / the Solway Plain / Eskdale? During the last (ironically-named) Managing Radioactive Waste Safely (MRWS) process, the government funded partnership’s own geologist, named three rock volumes as potentially suitable. These were the Ennerdale and Eskdale granites, and the Mercia Mudstone in the Solway Plain. Does that mean that they won’t look anywhere else in Cumbria? How can you be confident that West Cumbrian geology is unsuitable when we haven’t surveyed it? The geology of West Cumbria has been extensively studied since the 1800s. There are literally thousands of boreholes that have been drilled in this area and records exist for a large number of them. In addition to the Nirex survey of 65x60km, there has been a significant amount of exploration for oil, gas and coal. The MRWS process somewhat bizarrely chose to ignore all of this information and treat this as a frontier territory, as if we were exploring a new planet. Some of the inconvenient Nirex data was even removed from websites. A more normal scientific approach would be to take all existing knowledge, build on it and further refine it. To erase or ignore existing knowledge gives the impression that this was not a valid scientific process, rather a plan to arrive at a predetermined outcome. If you are so sure that West Cumbria is unsuitable, why not let them press on with the search process? While we are very confident that the whole of West Cumbria is unsuitable, following advice from several experts including Professors Smythe and Haszeldine, we are less confident that a government with no plan B won’t decide to compromise on safety and ignore international guidelines. There is plenty of evidence to suggest that is taking place already. There are only two potential outcomes from continuing the search in West Cumbria and neither are satisfactory. They may spend up to 15 years studying, drilling and exploring the area to reach that conclusion, which would delay the eventual disposal of waste that is currently posing an intolerable risk according to the Public Accounts Committee. That would also waste a vast amount of taxpayers’ money and blight the area for that time. Secondly they may decide that in the absence of suitable geology, an untestable engineered solution would suffice. How much waste is there anyway? How did Jamie Reed switch from insisting that “As long as I have anything to with it Nirex will never dig another sod of turf in West Cumbria.” to being a fanatical cheerleader for a GDF in West Cumbria a few years later?